translated by Priestmonk Leonty Durkit- 108 pgs. 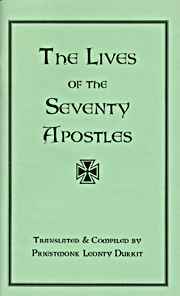 These are the lives of the seventy Apostles whom the Lord Himself appointed to go out two by two to preach the Holy Gospel. Also includes the date on which their feast is celebrated.